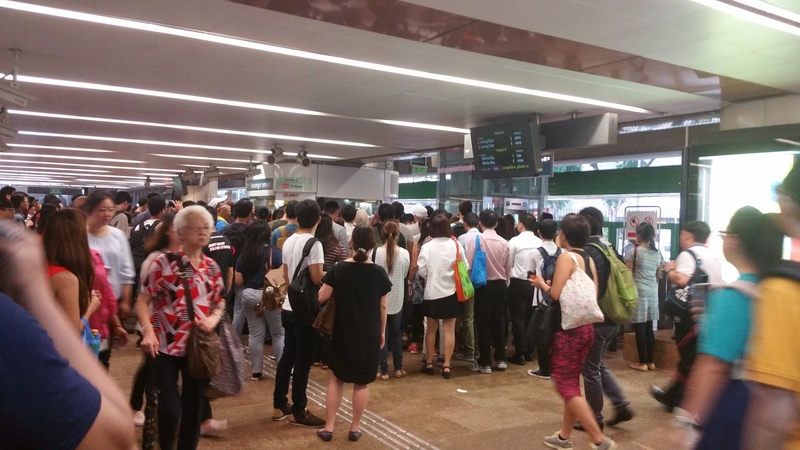 There was a track fault earlier in the morning at Choa Chu Kang according to the PA announcement at Admiralty Station. This had caused the frequency of trains to increase to 5 minutes. I still managed to get on the train at Admiralty. But then you will feel like a sardine after it leave Sembawang station. The south bound platform form a snakey queue all the way to the north platform. I was glad that I am exiting the station at this point of time. 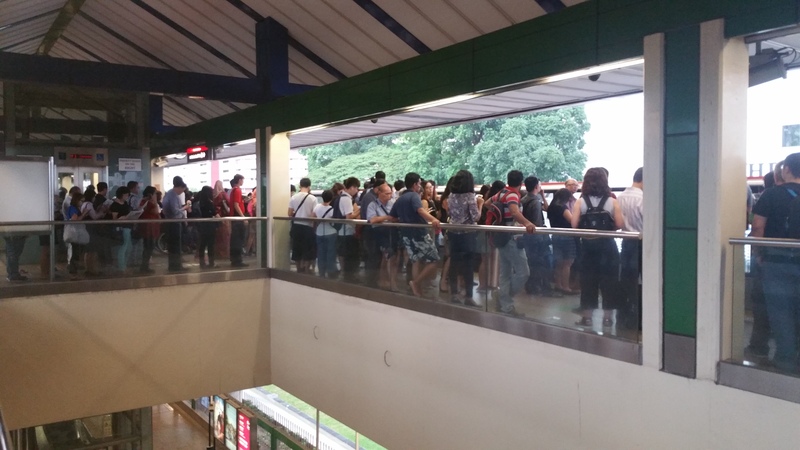 It is tough for the Yishun residents especially if you are travelling towards the city. The fare gate were reprogram to two entrances only. This is a measure to stem the human traffic flow into the station. But the down side, is a bottle neck will form outside the station. If you plan to buy your home in Yishun, do give a second thought especially if you are going to use the south platform during peak hours.